Ready. Set. Play ball! Our favorite Sacramento Baseball team, and Triple A for the San Francisco Giants, is heating up for the 2015 season! To welcome our sluggers back to the field, we’re giving 10 lucky winners a family 4 pack of tickets! Perfect for a family date night this summer. Enter to win now through June 19th and you could be rooting for the home team with your family! 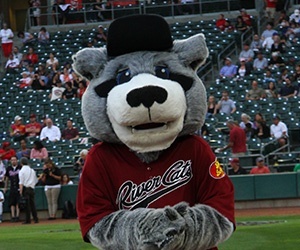 10 lucky families will win a family 4-pack of tickets to a River Cats Game!